CSKA Moscow needed a bounce-back win against FC Bayern Munich, and even though the team struggled mightily on offense, the intangibles of this win could go long way in helping CSKA return to its dominant ways. Bayern scored the first 8 points of the game and held a 13-point lead in the first quarter. 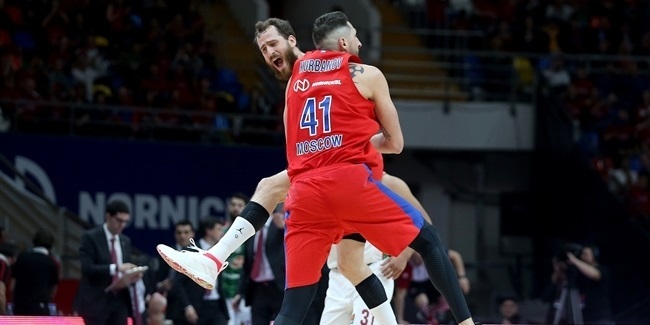 CSKA scored just 1 field goal in the opening 9 minutes of the game and waited until 3 and a half minutes into the fourth quarter to grab its first lead of the game. Moreover, CSKA finished with just 13 two-point shots made on 34 attempts (38.2%). That marked its fewest of the season and tied for the eighth-fewest two-point shots CSKA made in a single game this century. 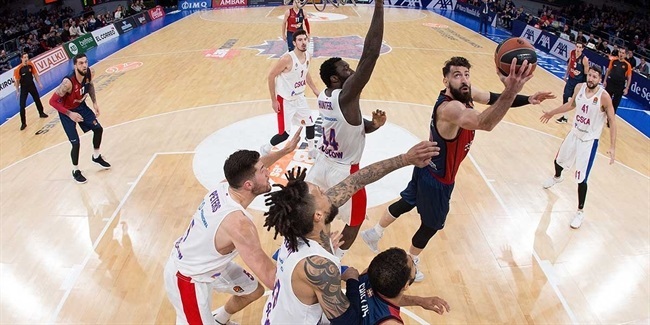 It also marked the first time this season CSKA shot two-pointers below 40% - and it is not as if CSKA was killing it from the outside, making 9 of 22 three-point attempts (40.9%). 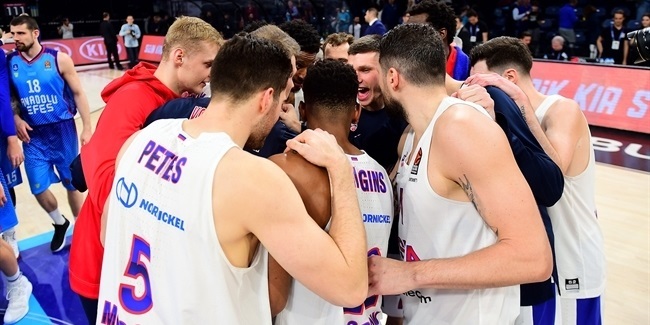 "We talked in halftime about our two-pointers; we missed a lot of layups or dunks or whatever," Coach Dimitris Itoudis explained after the game. "We were kind of nervous because that's not normal. The guys that were missing have been making all day long those shots and they will make those shots. So we kind of got in a problem with that." "The deep bench helped us a lot," Itoudis admitted. "Joel [Bolomboy] came deep from the bench and gave us the extra boost that we wanted." Rookie center Bolomboy scored all of his 9 points in the fourth quarter, including a shot-clock beating desperation triple to tie the score at 57-57. He also had a pair of dunks in a 10-0 run that soon followed as CSKA secured the win. It was not an impressive performance, but the glass was surely more full than empty for Itoudis and his men. 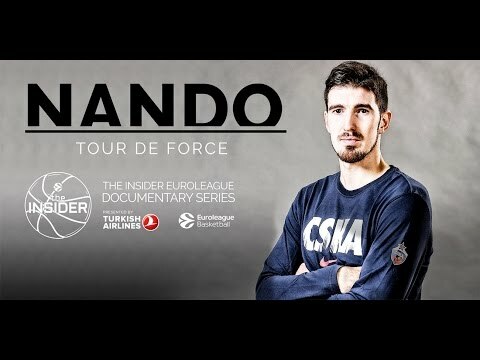 "The psychology of the team, the whole conception of after the start 0-8 was about fighting and defending and making stops. And I think we have to be proud of it," Itoudis said.